Cute bachelorette tiaras are a simple way to do something special for your girls’ night out party guests. With so many girls having a night out, how will you all stick together at the bar (especially after you’ve had cosmos!) without a way to identify each other as “I’m-with-the-bride”? Treat your friends right…after all, your big day is right around the corner. This page of bachelorettetiaras.com provides a guide and rating score for all the cutest bachelorette tiaras. Each bachelorette tiara on our site is available for a discount price at Bachelorette.com. 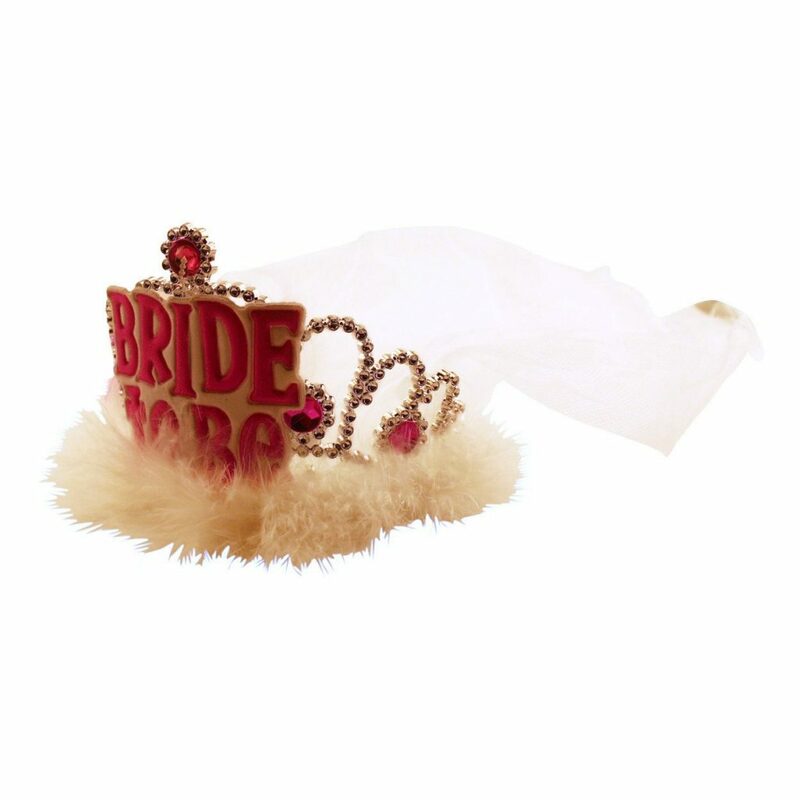 Cute Comb Bachelorette Tiara is a pink plastic comb bachelorette tiara. It is about 4″ long and that makes it easy to work into any hairstyle. It isrecommended for children and flower girls for the following reasons: it comes in a package of 6 so it’s great for parties, it doesn’t look like something an adult would wear, and we think that you deserve better for your special girls’ night out. Elegant Bachelorette Tiara is made of thin metal and covered in silver glitter that diffracts light in many colors. This bachelorette tiara rests on the crown of the head and is secured by two small combs located at the sides. 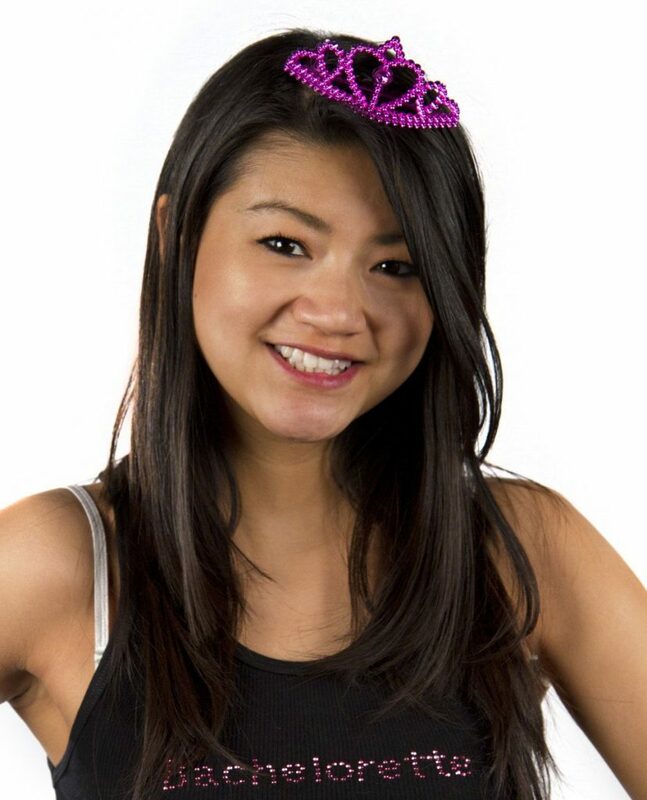 We decided that it was not durable or wearable and do not recommend this bachelorette tiara. The glitter easily falls off on your face and hair, which can ruin a look if you don’t want to be a glitter queen. Also, the metal is so thin that it can become deformed in the simple act of putting it on.